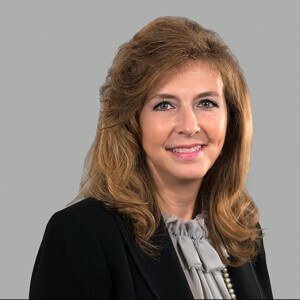 Jan Matthews-Hodges joined Cranfill Sumner & Hartzog in 2012 as a legal secretary, and moved into the role of Case Manager supporting attorneys in the Employment and Municipalities & Public Entities Practice Groups in the Raleigh office in 2015. Jan has more than 25 years of experience in law firm administration and legal support including 10 years of experience as a firm administrator for a Raleigh-based litigation firm. As Case Manager, Jan assists with all aspects of case and practice management for attorneys with particularly high caseloads. Her work is particularly focused on complex federal litigation matters. She works to establish and nurture relationships with key firm partners and experts involved in litigation. She also assists with investigations, including, but not limited to, locating witnesses and uncovering evidence. Jan is also involved with marketing and business development for the attorneys and practice groups she supports. A natural networker and connector, Jan coordinates client follow up opportunities and attends industry conferences as a representative of the firm. Prior to her career in law, Jan was an entrepreneur and business owner. She started a wholesale bakery manufacturer that distributed to specialty grocers across 26 states. During this time, Jan developed an innovative business and hiring model that resulted in recognition from state and local economic development organizations. This position also led Jan to serve as writer and executive producer for various cooking segments on UNC-TV’s North Carolina Now. Jan’s experiences as a business owner and executive allow her to assist CSH Law clients with issues beyond the immediate dispute or litigation they are facing. Clients appreciate her proactive approach and big-picture thinking.